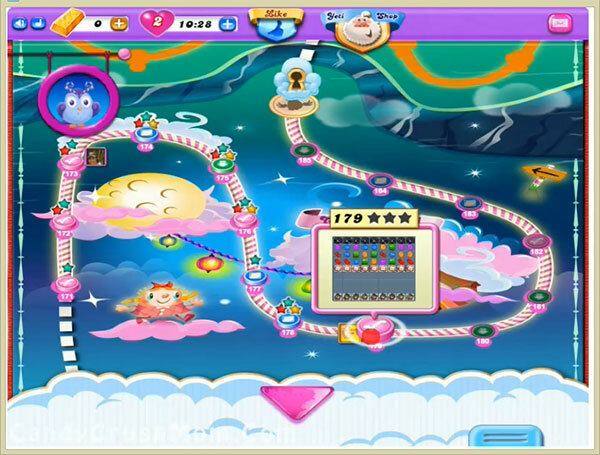 This level have normal difficulty but the candy board have few chocolate machines that could make problem. You should try to play from bottom near chocolate machine so chocolate wont increase and then try to make colorbomb anywhere you get. As moon will struck it will break two same color candies and will give more chance to make colorbomb. We completed this level with 69220 score by playing from bottom and got luckily three colorbomb that help to reach requirement with two star score.